It is easy for us as parents to set our sights on the wrong goals for our children. We tend to emphasize good grades, education, athletics, and fine arts. 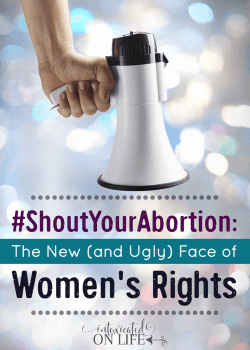 Too often, our primary objective is to turn out successful and accomplished human beings. We unwittingly put our energy into seeking the right college degree along with the right trophies in our kids trophy case. What we, as proud parents, fail to realize in the midst of our parental ambition is all these things will not matter in eternity. In and of themselves, they are nothing more than loss when compared to the surpassing value of our children knowing Jesus. The temporary is not bad, it’s just temporary. The best thing we could invest into our children’s lives is not a love for sports, or reading, or the outdoors. No, the best thing we could invest in our children is a love for God, a knowledge of His word and guidance for what it looks like to live accordingly. Those great manners, straight-A report cards, advanced athletic and fine arts accomplishments will one day cease to hold meaning in and of themselves. What will hold enduring value is the way we and our children loved God and loved others sacrificially, and how we walked in faithful, trusting obedience to God. The most humble, faithful of lives will be elevated above the most glorified on this earth. God’s economy is completely different than ours, and as parents, we would be wise to pay attention to this eternal equation. 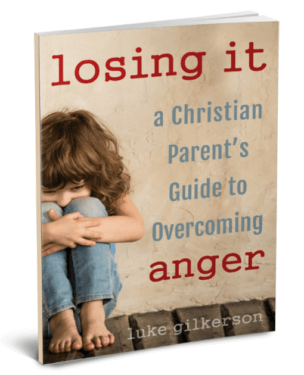 So how do we foster lasting value in our children’s lives? I believe this happens best through the simple, yet profound process of discipleship. Before Christ’s ascension to heaven, He gave a charge with His parting words: “go and make disciples” (Matthew 28:19). Unfortunately, in our twenty-first-century world, we do not always fully comprehend the depth of that concept. Jesus’s disciples followed Him, watching His every move and learning from Him in all situations for three years! This is a model for discipleship. Over time, it is the ultimate equipping for life with God. 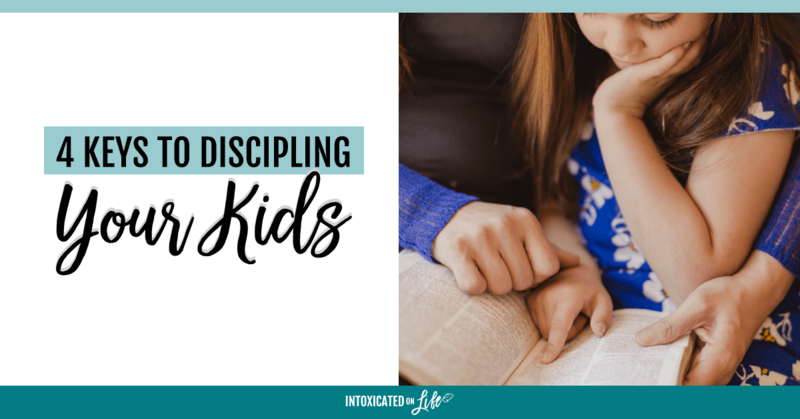 As mothers (and fathers), God has uniquely positioned us to disciple our children. Think about it for a second: our children naturally live their lives alongside us. God has given us the privilege of fulfilling His command to make disciples right in our own homes. Therefore, we must, over all else, make it our parenting goal to lead our children to know God, to follow His ways, and to view their lives in light of eternity. Neither the wise, nor the strong, nor the rich will have anything to boast about in the presence of God (Jeremiah 9:23-24). So, let us strive to instill in our children the things that will matter forever. And so, we nurture and train our children to follow Christ. But what does that look like in everyday life? We cannot simply lead our children on paths we haven’t first trodden ourselves. We must follow after Christ ourselves before we can lead them. Rather, discipleship says, “Come with me as I go deeper.” It’s a “Follow my example, as I follow the example of Christ” 1 Corinthians 11:1 (NIV) scenario. We cannot change our children’s hearts. Only God can draw them to Himself. We must rely on His power and trust His plan, yet by His grace we have the privilege of partnering in this process. 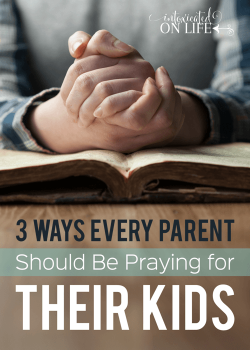 One of the best ways we can do this is by praying for our children. We teach our children how to pray by modeling it. 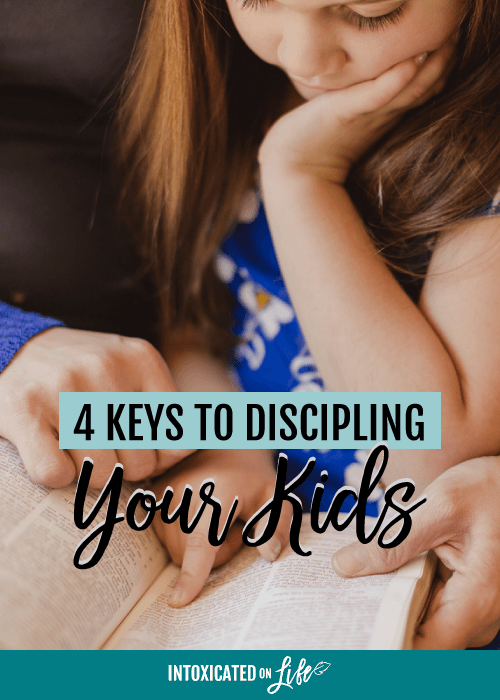 When we connect the normal happenings of our daily lives with prayer, we set a powerful pattern for our children to follow. Every moment that we are with our children is an opportunity to help them see God’s at work and apply His word to their lives in real time. This means sharing what God is doing in our own lives, what we’re reading in the Bible, and explaining how we are applying it practically. 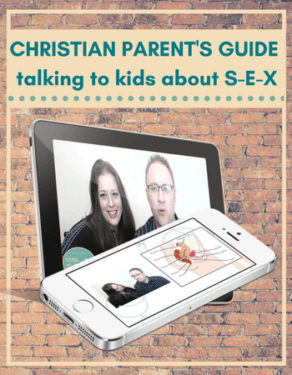 When we talk authentically with our kids, we bring down the barriers and model the Christian life for our children. Jesus’ disciples went with Him as He ministered to others. They watched, learned and ingested His way of interacting with the world. These men learned to see people as He saw them. They learned truth through experience. Just last week, I was in Guatemala drilling a clean water well with Living Water International. I’ve felt moved by the work this ministry for years. Yet it wasn’t until I saw the need firsthand and had the opportunity to meet and love the people they serve for myself that it became personal. In the same way, our children may understand there is value in serving others. However, it’s when we take them into gritty, hard places and allow them to get their hands dirty in the meeting of real needs of real people alongside us, we open the door to understanding, love, and spiritual truth in their lives. What would it mean for you to shift your parenting goals from worldly things to eternal things? 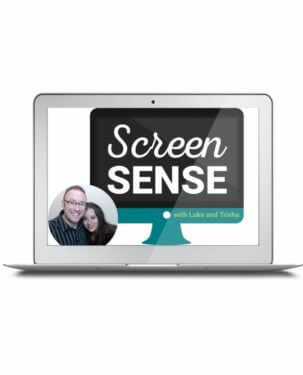 Katie Bennett is a blogger, podcaster, and author at Embracing a Simpler Life. 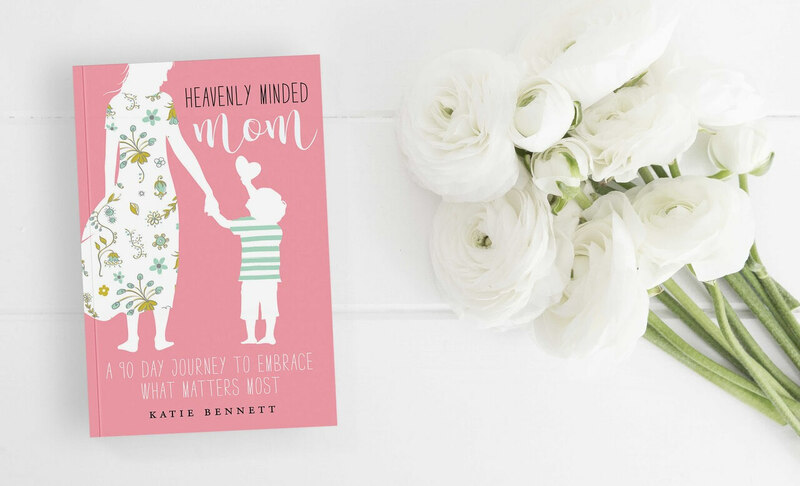 Her devotional Heavenly Minded Mom: 90 Days to Embrace what Matters Most, calls mothers into a new way of seeing life —in light of eternity. 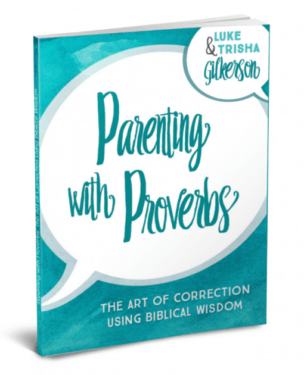 This uplifting book offers moms the wisdom of Ecclesiastes, wrapped in the hope of the Gospel in bite-sized portions. Let’s revaluate how we envision our lives and claim a heavenly mindset towards our mothering tasks. 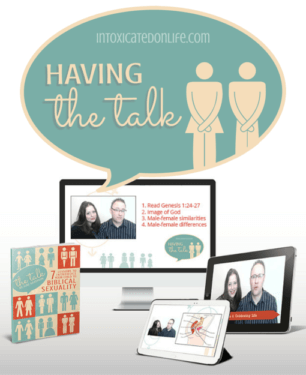 Discover a new way of looking at our responsibilities as a mom through God’s eyes. When firmly grasped, the hope of heaven changes everything. THIS is our one opportunity to live well, right here, right now, and right in our actual life. Let’s not miss it! 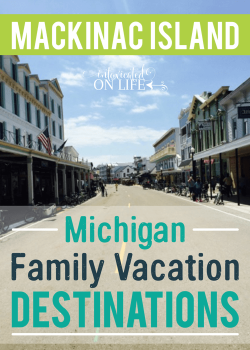 Sharing at Create with Joy, The Modest Mom Blog, Pam’s Party & Practical Tips, and Crafty Moms Share.